The consumer plays an important role in tire maintenance. Tyres may have to removed from service for numerous reasons, including tread worn down to minimum depth, damage or abuse (punctures, cuts, impacts, cracks, bulges, underinflation, overloading, etc). For these reasons tyres, including spares, must be inspected routinely, i.e., at least once a month. 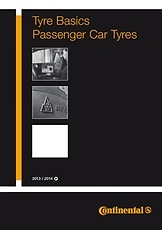 Regular inspection becomes particularly important the longer a tyre is kept in service. If tyre damage is suspected or found, Continental recommends that the consumer have the tyre inspected by a tire service professional. 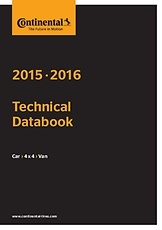 Consumers should use this consultation to determine if the tyres can continue in service. It is recommended that spare tyres be inspected at the same time. This routine inspection should occur whether or not the vehicle is equipped with a tire pressure monitoring system (TPMS).